Bandhavgarh is one of the best national parks in the world for tiger sightings. Few return without seeing this most magnificent of animals and largest of big cats over a three or four day stay at The Monsoon Forest. The Bandhavgarh National Park also has a sizable population of other predators like leopard, sloth bear and the dhole, the Indian wild dog. While driving through this national park you will see large herds of ungulates like the chital or spotted deer and sambar, Asia’s largest deer. 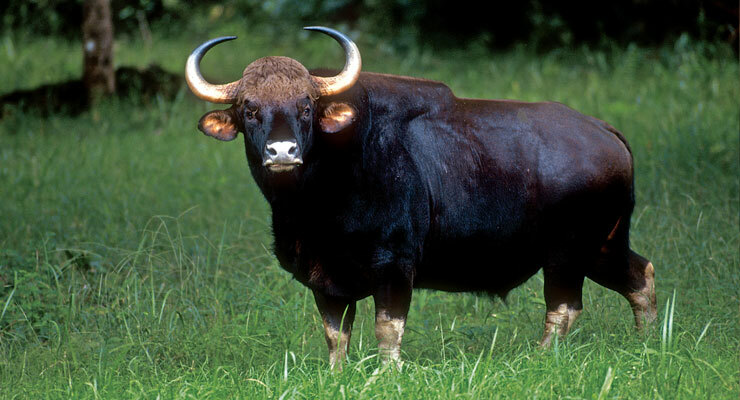 The muntjac or barking deer, nilgai antelope, chinkara or Indian gazelle, chausingha (the world’s only four-horned antelope) wild boar and gaur or Indian bison are also often possible sightings. Langur and rhesus macaque are the primates of Bandhavgarh. You need luck to sight some of the more elusive mammals like Indian fox, Indian wolf, ratel or honey badger, hyena, civets, lesser cats, etc.